CHICAGO – Bobby Portis didn’t address the media before the game, wanting to let his play on the court make the first statement. Jabari Parker discussed his relationship with Bulls Head Coach Jim Boylen souring after Boylen took over for Fred Hoiberg. Parker said the relationship was “a complete 180” from Boylen’s time as an assistant to when he became the head coach. Both Portis and Parker had their big moments on the floor Saturday night as the Wizards took down the Bulls 134-125. Parker finished with 20 points, five rebounds and six assists while Portis contributed 10 points, 12 rebounds, four assists and two big blocks. Parker also had some massive dunks in the game, including a nice left-handed finish over Lauri Markkanen. Otto Porter Jr., the player Chicago acquired in the trade, finished with 17 points. Parker, Portis and Porter Jr. were involved in a deadline deal completed moments before the Bulls tipped off Wednesday against the Pelicans. Chicago took on two years and $55 million in Porter Jr.’s contract, while Portis and Parker will likely be looking for deals this summer. The Bulls didn’t reach an agreement with Portis on an extension prior to the season. Parker appeared relieved to be heading to Washington to revitalize his value after an uninspiring stint in Chicago. He appeared in 39 games and averaged 14.3 points and 6.2 rebounds per contest, but struggled to get minutes behind Lauri Markkanen and Portis. Boylen said Tuesday “there was some thought he [Parker] could play the 3”, but Chicago quickly figured that wasn’t the case due to his defensive deficiencies. A change of scenery should bode well for Parker’s situation in the offseason. Portis, on the other hand, was not expecting to be traded. 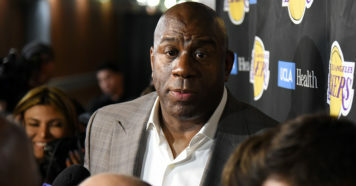 He said he wanted to be a Bull long term Tuesday and appeared to be stunned walking out of the United Center Wednesday after the deal was reported. On Thursday, president of basketball operations John Paxson and GM Gar Forman addressed the trade. Portis took to Twitter to make his thoughts known. After dropping 30 points in his debut with the Wizards, Portis didn’t hold anything back in his postgame interview with NBC Sports Washington. "I think the Wizards got a steal with me and Jabari…"
He kept the fire going on Twitter. With the Wizards and Bulls set to tip off just days after the trade, there was potential for tension on the court. Surprisingly, it was Parker coming out with a more aggressive mentality after staying relatively mum on the trade. He attacked early and often, tallying six dunks over the game. Portis, on the other hand, struggled to get going from the floor but killed the Bulls on the glass. He also erased Wayne Selden’s buzzer shot at the end of the first quarter to preserve a 34-32 advantage. Parker and Portis played well in the flow of Washington’s offense, which torched the Bulls repeatedly. The Wizards scored 76 points in the first half thanks to a 3-point bombardment. They finished the game 12-for-27 from deep. After the win, Portis offered the following on his Twitter comments and emotions leading up to the game. “Twitter, I just use it for having fun and expressing myself,” Portis said. “No bad feelings.” He said he was more focused on helping the Wizards make the postseason. Washington is currently 10th in the East, but within striking distance for the final playoff spot. Portis said Friday’s game helped him get over the early emotions. “I was hurt the last 48 hours, but when I got into the game [yesterday] those hurt emotions went away,” he said. Parker said putting on a show in his hometown felt great. Parker was asked about his dunk on Markkanen and said nothing was directed towards his teammates, adding that he “loves those guys”. He was relieved the trip to Chicago came three days after the trade was made. 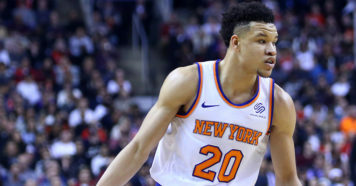 Which Kevin Knox Will the Knicks Get Next Season? I'm a writer/reporter at Stadium with a focus on the NBA. I'm a fan of all sports, but basketball and cricket are my two favorites. When I realized I lacked the athletic ability to play professional sports, I decided to pursue sports journalism to remain part of the action. Outside of sports, I enjoy action movies, hitting the gym and hanging out with friends. I despise warm weather more than I like cold weather. 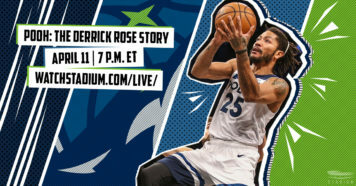 I've lived in the Chicagoland area since 2001 and am excited to cover the NBA in a unique way for Stadium. Michael Jordan is the greatest basketball player of all time, but Kobe Bryant is my favorite player of all time. Missouri School of Journalism product. Follow me on Twitter @Chinmay_Vaidya at your own peril.